We are very excited for the launch of this year’s Classroom Energy Diet Challenge as it heads into its 8th year. We want to share with you the excitement and some reasons for signing up! We are a Grade 5/6 French immersion class. We are participating because it seems like a positive way to get students engaged in contributing positively to the environment. It is an effective way to get discussions around sustainability started. We look forward to participating throughout this school year! This will be my class’ first year participating. The reason we have chosen to do this is because we are a rural school looking for opportunities to think at a more global/environmental level that don’t cost anything for our learning. Also, I am part of an experiential learning team, finding more educational experiences for grade 7 and 8 students. As a First Nations school, it is a top priority for us to take care of and live in harmony with Mother Earth. 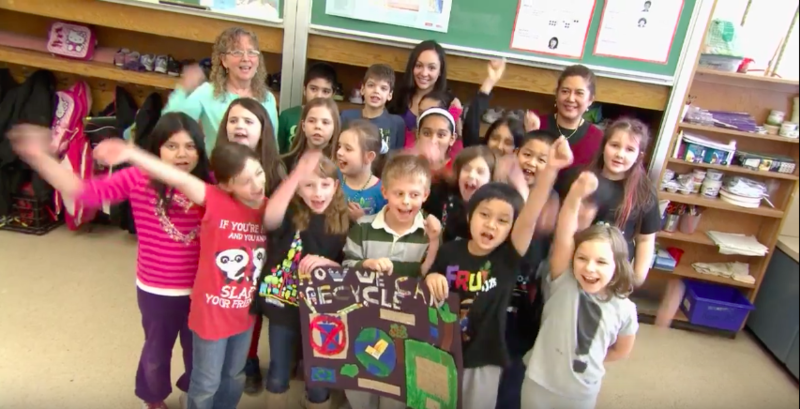 Our students are encouraged to look forward to future generations and what the world will be like, and it is our job to make sure that Mother Earth is as healthy as possible for them. We think that we can learn from this challenge and it will help us to accomplish this goal. 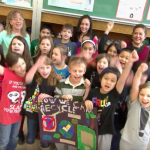 Every year, the Classroom Energy Diet Challenge continues to build student curiosity, awareness, and stewardship. At Lakefield DPS, the grade 1 and 2 students will participate because hands-on collaborative learning about things that impact us directly builds engagement, communication skills, and problem solving. We will use creative ways to express ourselves (e.g., dramatic skits, stikbot animation, videos using tools such as Padlet and Google Slides) to share our learning with others in different communities.